Becara, european pioneer in the home decor industry, with more than 50 years of recognised success, is a company dedicated to the design, manufacture and distribution of furniture, decorative items, home textiles, antiques and gifts. 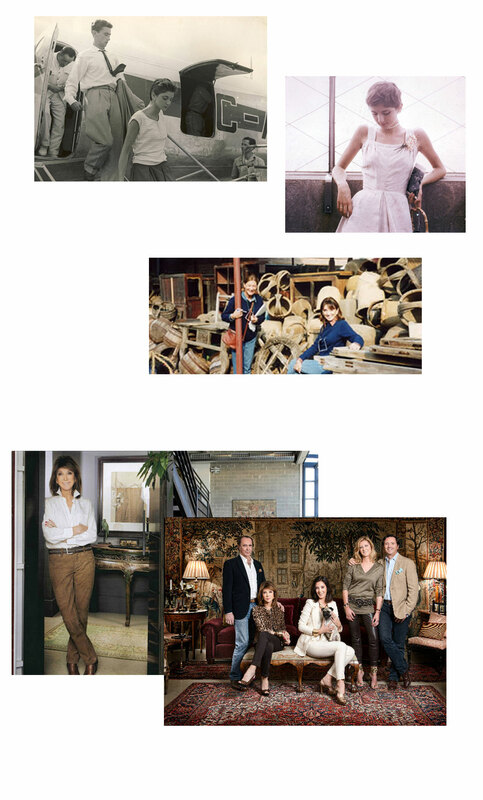 Its founder Begoña Zunzunegui, with a great intuition, started importing decorative articles and antique pieces from different European countries in order to set up a company in Madrid. Begoña could see an opportunity in the wholesale business of decoration and gift in the Spain of the 60's Good taste he inherited from his family and his knowledge of international markets helped her intuition to focus on creation of a nonexistent market in Spain preconstitucional. In this way, BECARA It pioneered and founding partner of the main fairs of national wholesale sector, as Intergift, Furniture Fair of Valencia, Expohogar in Barcelona or Furniture Fair in Madrid. In the mid-70s, Begoña I knew also see the opportunity to open a market in Asia, something unusual at the time and much more for a woman. So, he sought suppliers in China, India, Indonesia, Vietnam, Thailand ... and many other Asian countries that offered something new to the craft of the designs themselves Collection Becara. Begoña began this way to consolidate an impregnated collection of harmony in which furniture and objects fit together perfectly, creating eclectic and personal environments has always maintained over more than 50 years. During the 80s, BECARA way into international markets, exhibiting in the most important fairs in Europe: Salon du Meuble de Paris, Ambiente and Tendence in Frankfurt, Abitare il Tempo in Verona, Maison & Objet in Paris, Salone del Mobili Milan ... starting the way of export to over 40 countries around the world and consolidating its export character. In 2000, BECARA began retail expansion, opening its first store brand BECARA to the public and has been its flagship store in Madrid, Juan Bravo 18. From that moment begins a stage in which the wholesale and retail activities overlap, starting the expansion with the opening of stores BECARA as Madrid and Marbella ... as well as international: Bogota, Casablanca and Mexico.